Henry Grossman ’58 has enjoyed a long career of photographing icons, including four who became his friends: John, Paul, George and Ringo. In early 1965, as Beatlemania raged on, the Beatles manager learned that Life magazine had photos showing John Lennon, Paul McCartney, George Harrison and Ringo Starr at home with their wives and girlfriends. Worse yet, Life planned to syndicate the photos to publications around the world. Epstein didn’t want the shots widely released. 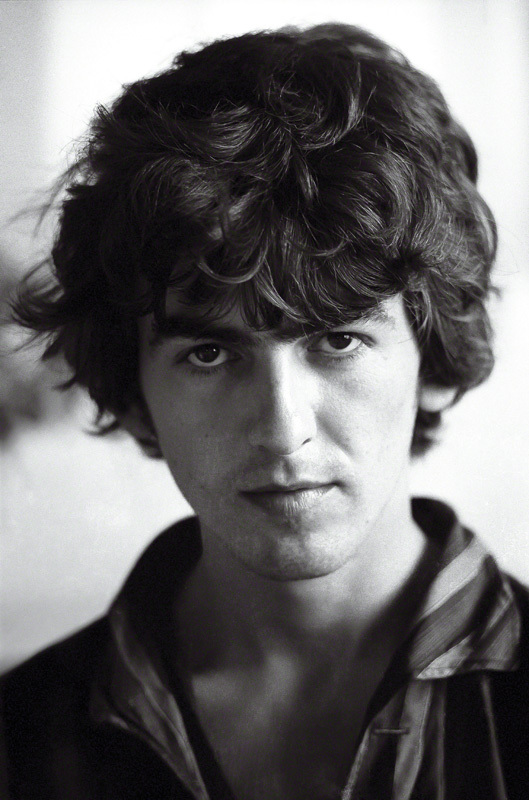 The maestro behind the Beatles’ public image, he preferred that young fans didn’t know the group had significant others of any kind, married or unmarried. He phoned Henry Grossman, the American photographer who had taken the shots for Life, to complain. “We have never even let a British photographer into their homes,” Epstein said. The next day, he cabled Grossman: “Have just seen the photographs. Disregard phone call. Can I have a set?” The calm intimacy captured by the photos had disarmed even the micromanaging manager. 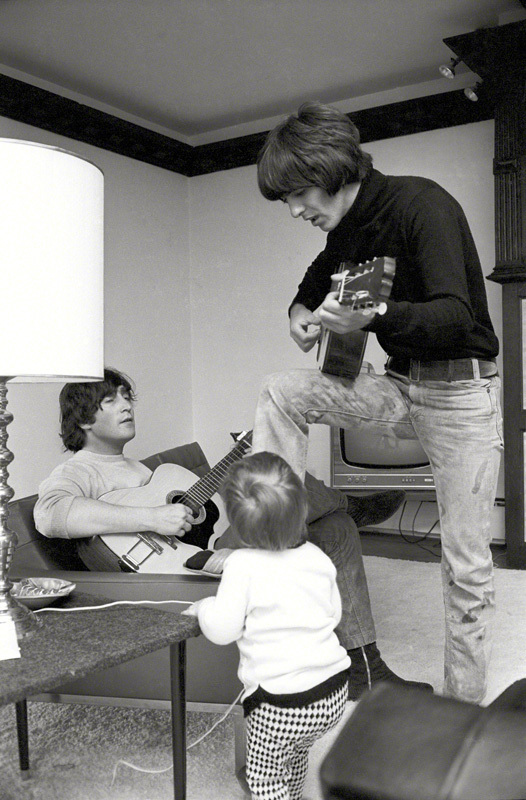 Nearly five decades later, photographs taken by Grossman ’58 are still captivating Beatles fans. In fact, the sheer scale of what Grossman recently made public has pitched many into a latter-day frenzy. 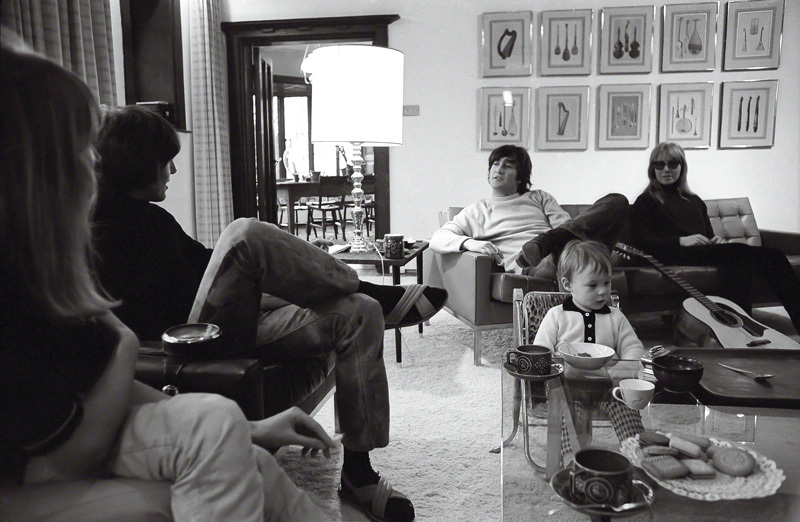 Late last year, a small publishing company called Curvebender released a collection titled “Places I Remember” — a handsome 528-page, 13-pound coffee-table book containing more than 1,000 of Grossman’s Beatles photos, most of them never before published. And it’s a mere fraction of what has been lying undisturbed in the photographer’s archives. 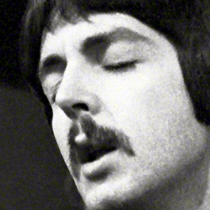 Between 1964-68, Grossman shot more than 6,000 Beatles images. 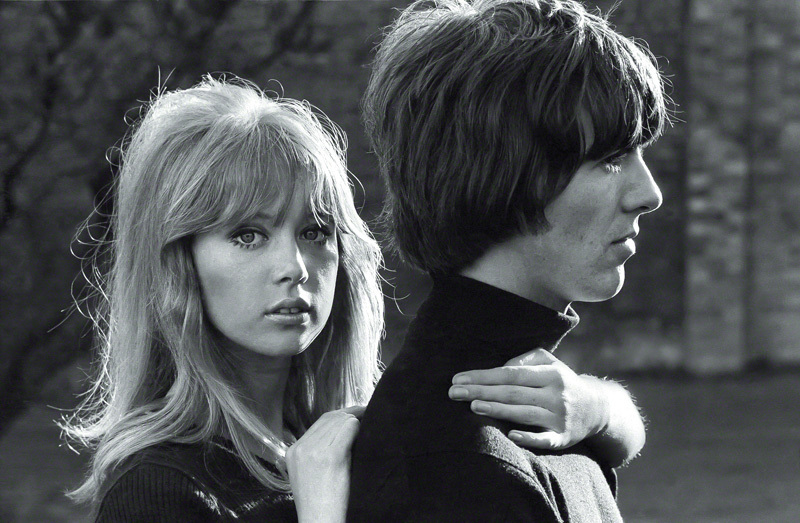 Some were taken when he was shooting on assignment for major publications like Life, Time and the London Daily Mirror. 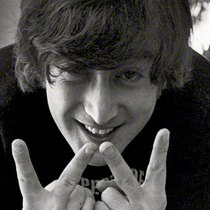 Others were taken behind the scenes, when he was hanging out with the Beatles as their friend. 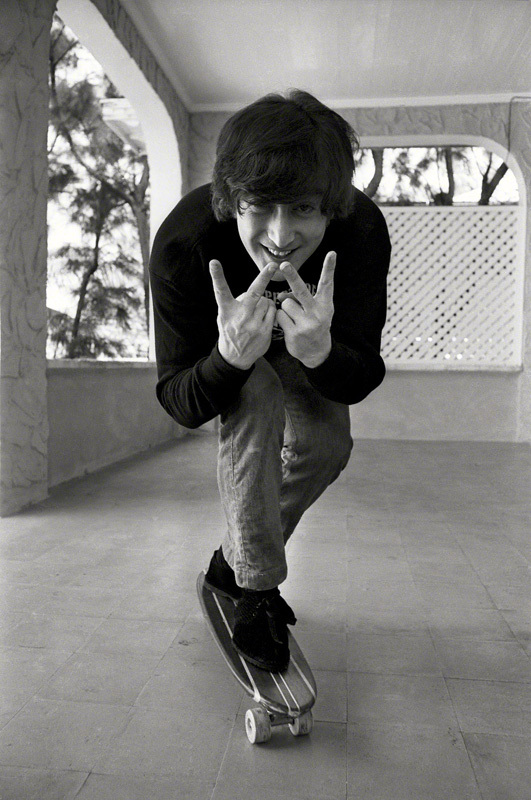 McCartney, who wrote the introduction to “Places I Remember,” puts it this way: “Even though the Beatles had lots of photographs taken of them, occasionally one of the photographers would be out of the ordinary; Henry Grossman was one such photographer. We allowed him access to our public and private lives. His photographs are an important record of a very special period. A quick glance at Grossman’s website, www.henrygrossman.com, reveals the wide-ranging photo assignments to which his love of people has led: Nelson Mandela, Isamu Noguchi, Meryl Streep, Muhammad Ali, Martha Graham, Jimmy Carter, Leontyne Price. In 1964, Grossman was sent to photograph the Rolling Stones’ first New York City press conference. “I didn’t like them, and I never went back,” he says. 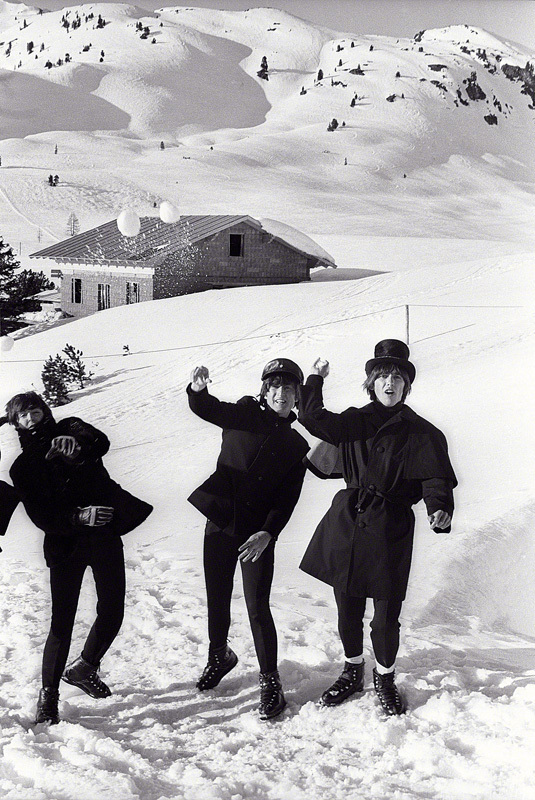 The Beatles were different. When Time asked him to shoot the group’s first “Ed Sullivan Show” performance that same year, it was the beginning of a genuine friendship. Instead, he simply saw the Beatles as interesting people. They, in turn, could relax around him. He became part of the extended family whenever he shot them for a magazine or a newspaper — when they were filming “Help” in the Bahamas and Austria, for instance. Or if he was near London for some other assignment — like getting stills of Richard Burton on a Dublin movie set — he’d stop by for a visit with one or more of the band. Grossman always brought his Nikon along, sometimes two (one fitted with a wide-angle lens, the other with a telephoto). 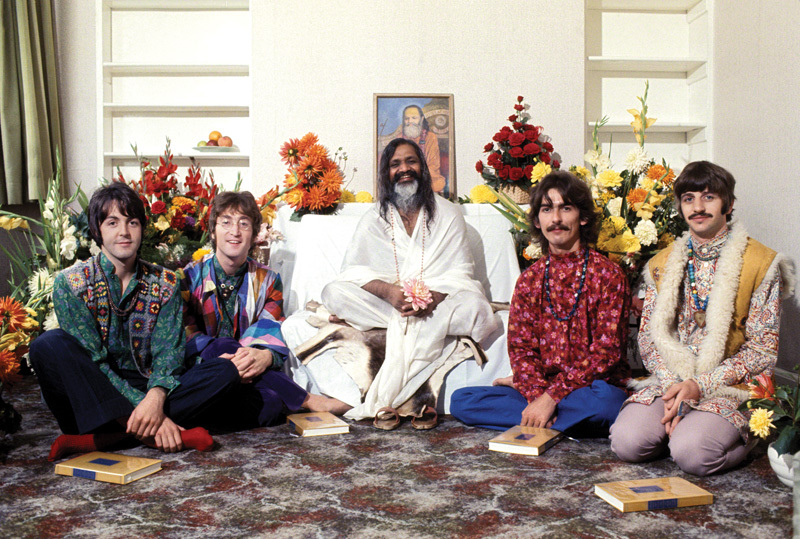 He took pictures of the Beatles working in the Abbey Road studio, talking with the Maharishi Mahesh Yogi, playing with their kids. Asked to describe what the foursome was like as subjects, Grossman says, “Real. 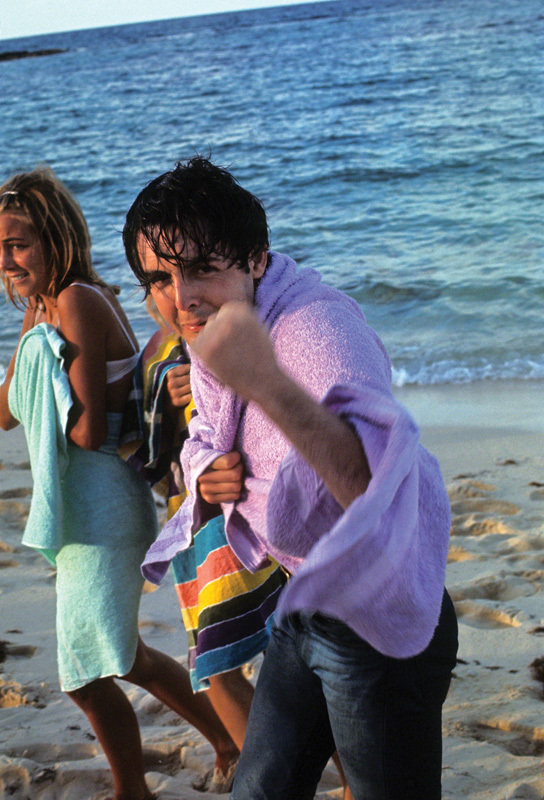 There’s one picture of me on the beach with John. I’m posing, standing there with a real grin on my face. John’s just looking. One morning during the “Help” shoot in Nassau, as he ate breakfast with Harrison, Grossman reached for his camera to grab a particular shot. Grossman was about five years older than the Beatles, a college graduate, well-traveled. Early on, they treated him like a big brother. He’d explain things they didn’t know. He told Harrison what a thesaurus is, then bought him one. Another time, Grossman was at Harrison’s house, and saw what he assumed was a wall decoration. The next time Grossman went to see Harrison, the guitarist answered the door in bare feet, and urged his visitor to take his shoes off, too. Harrison had been to India to study sitar with Ravi Shankar, and was settling into a more Eastern sensibility. In his work, Grossman instinctively looks past the external for an internal truth. He got this from his father, etcher Elias Grossman, who created portraits of such figures as Einstein, Gandhi and Tagore from life. Henry mastered the technical aspects of photography as a student at New York’s Metropolitan Vocational High School. 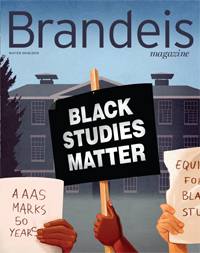 At Brandeis, he developed and printed photos for Ralph Norman, the university photographer, to make money to send home to his mother (Elias had died when Henry was 11). By the time he left the university — he spent a year pursuing a master’s in anthropology after getting his bachelor’s in theater arts — he had a single-spaced, three-column, three-page list of the famous names he’d shot, including Eleanor Roosevelt, Marc Chagall, David Ben-Gurion, Adlai Stevenson and Henry Kissinger. One week that Ben-Gurion was in New York for a talk, Grossman brought the portrait he’d taken of him to Time and Newsweek. Both magazines ran it in their next issue. Meeting John Kennedy was another big break. 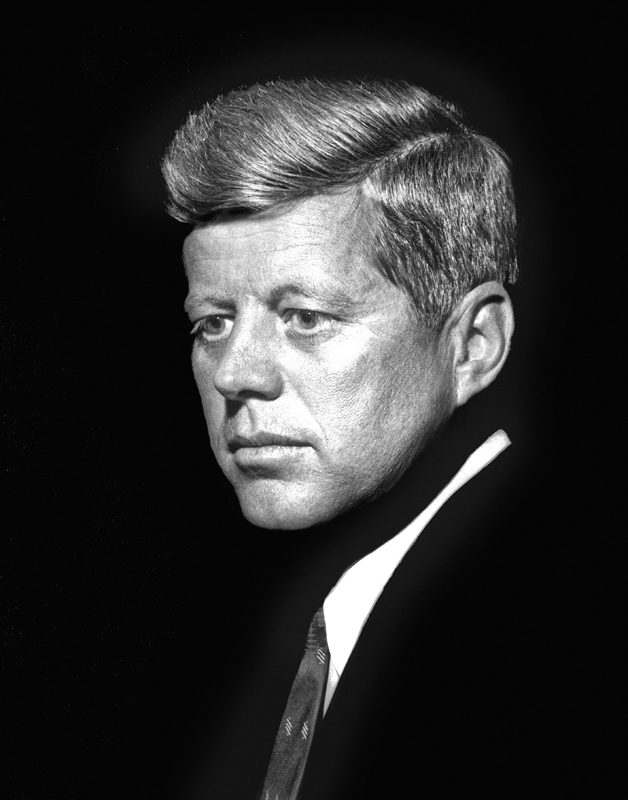 Grossman first photographed Kennedy in 1960 on the day he announced his run for the U.S. presidency. Hours after making his announcement in Washington, Kennedy flew up to Boston to appear on Eleanor Roosevelt’s WGBH-TV show, “Prospects of Mankind,” which was taped on the Brandeis campus. In Grossman’s portrait, the young candidate looks downcast, almost haunted. 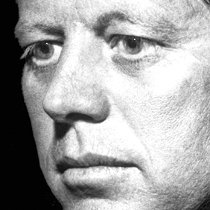 Kennedy staffers called it the “eyes” portrait. Five years later, Grossman was hired by the Robert Kennedy campaign to shoot pictures for a poster for the senator’s White House run. “I was sitting on a plane with Robert Kennedy, thinking, This is the next president of the United States,” Grossman says. During the middle of one long day of speeches in the Midwest, the candidate caught a nap in the front seat of a car while an aide drove. 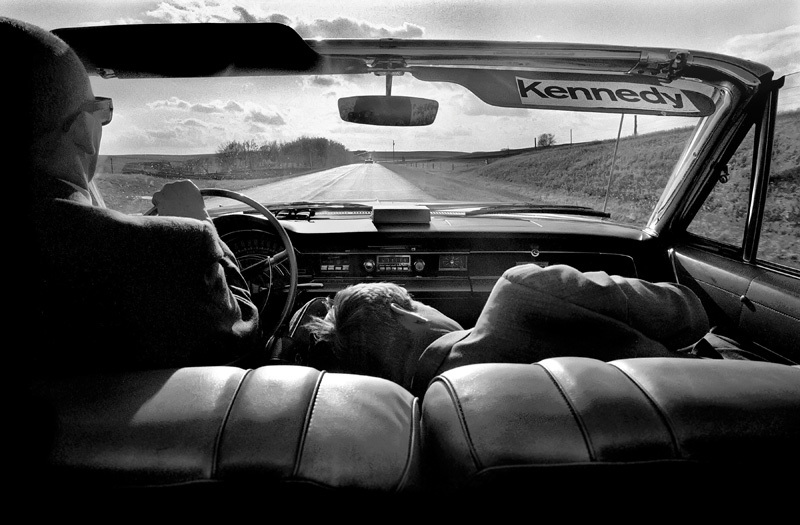 Grossman’s photo of Kennedy’s fatigued, vulnerable posture, taken from the car’s back seat, seems to foreshadow his assassination, just a month away. “It’s an eerie picture,” Grossman says. 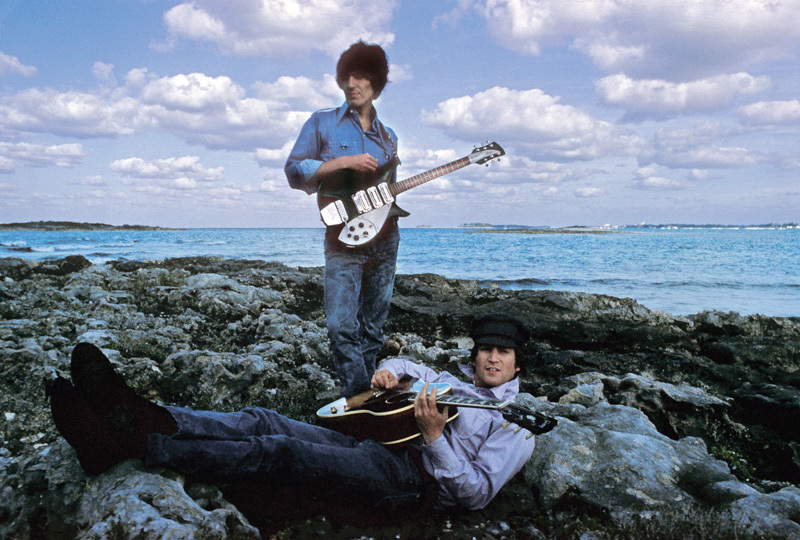 The wealth of previously unseen Beatles photos collected in “Places I Remember” provokes a simple question: Why didn’t Grossman ever try to market them? 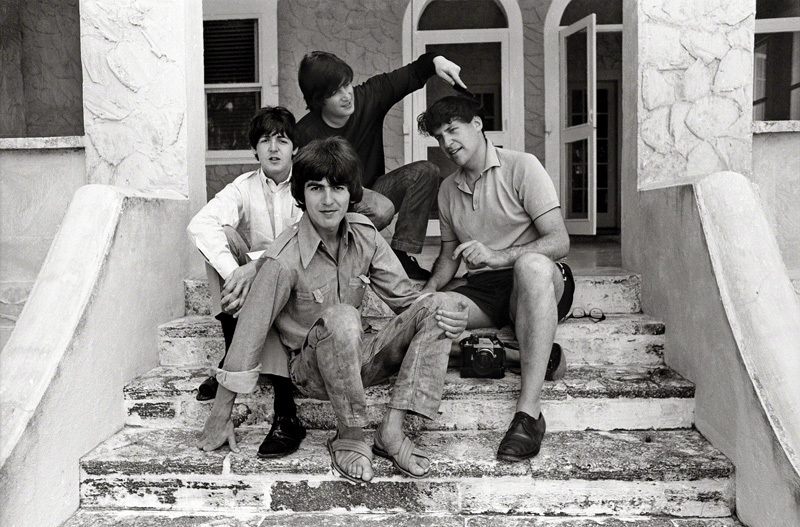 “I recently looked at my files to see what I was doing at the time I was photographing the Beatles,” says Grossman. “And, my God, I had Broadway shows to photograph. I was going to the White House. 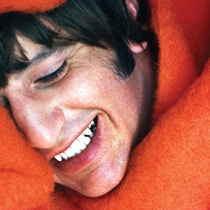 I mean, all these things within a week or two around each of my Beatles shoots. So I’d get the negatives back, I’d put them in the file, and I was off doing something else. “And I had no idea — they had no idea — how long their fame was going to last,” he says. Brian Kehew and Kevin Ryan, the partners behind Curvebender, discovered Grossman’s Beatles treasury completely by accident. 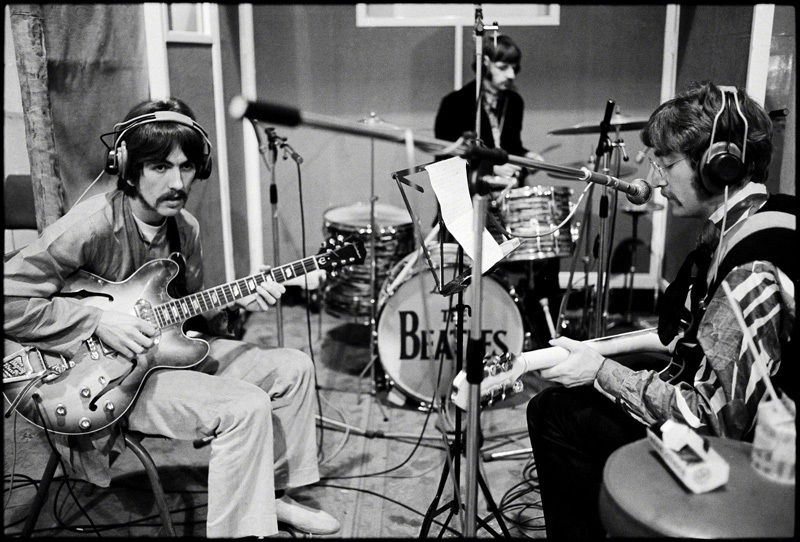 After licensing a couple of his photos for “Recording the Beatles,” a book Curvebender published in 2006, they naively asked what other Beatles shots he had. They were gobsmacked by how many there were. And that practically no one had ever seen them. Though “Places I Remember” is currently being offered as an expensive limited edition (prices start at $495), plans are in the works for a more affordable version that could be purchased on Amazon and at Barnes & Noble. Many of the photos, Grossman says, show “the surround. You get to see who was there, what was going on.” Storytelling pictures, in other words. Grossman, who lives on Manhattan’s Upper West Side near the Museum of Natural History, is still a busy photographer. He shoots dress rehearsals at the Metropolitan Opera, and does portraits of opera stars. Music runs in Grossman’s family. His son is an associate principal bassist with the New York Philharmonic. His daughter is principal violist with the Kansas City Symphony. 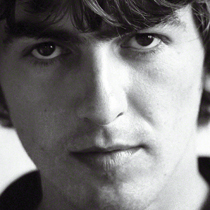 In 1974, Grossman says, he and Harrison reunited “like brothers” at a photo shoot, and he signed on to work as an official photographer for Harrison’s solo tour that year. The months spent assembling and promoting “Places I Remember” have been an emotional journey for Grossman, a long and winding road back to a thrilling, simpler time. 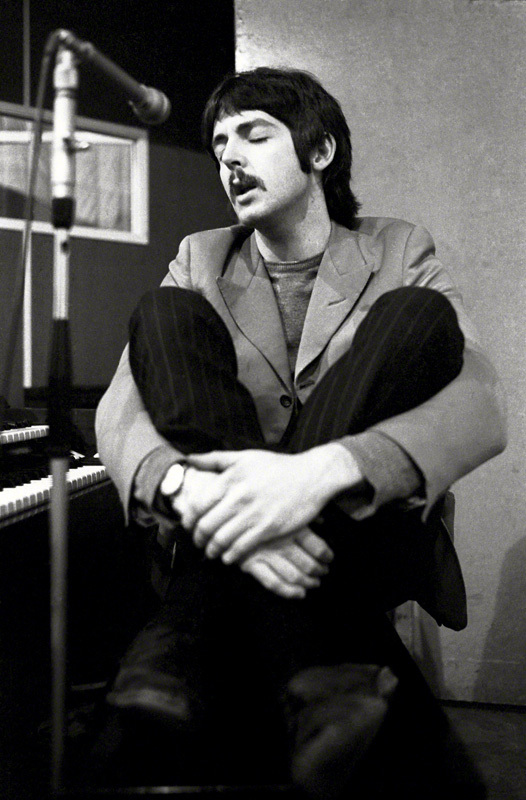 “Looking back on all the Beatles shots has given me great pleasure, like visiting old friends,” he says. 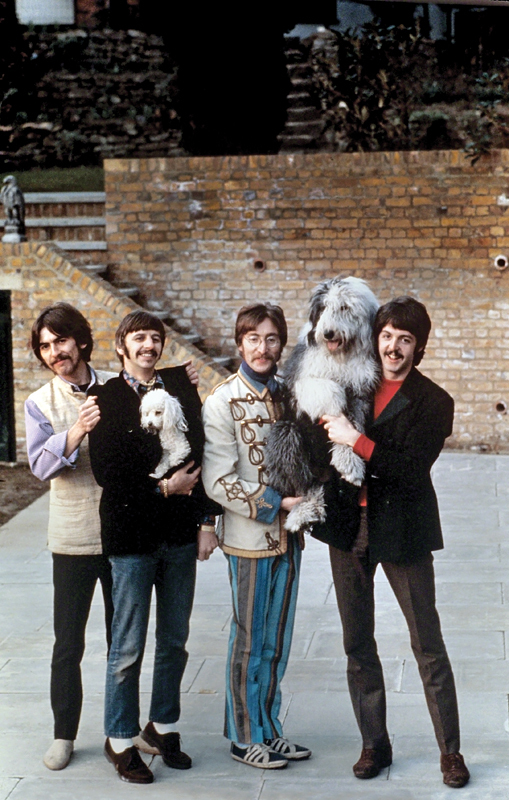 “The Beatles were wonderfully bright and unique individually, and obviously even more so as a group. I admired them greatly. It was exciting and fun being with them. And I was trusted. They accepted me as a friend.